Made fresh to order with lettuce, tomatoes, onions, green peppers, and cucumbers. We use white rice flour, millet flour, tapioca flour, xanthan gum, dairy-free milk alternative, egg replacer, sugar, egg whites vinegar, vegetable oil, and water for our gluten-free crust. Calzones and rolls are 12" in size. Ingredients are wrapped in our homemade dough and served with a side of marinara sauce. Jumbo wings or boneless chicken breast chunks served with carrots and blue cheese dressing. Served on a white sub roll with your choice of trimmings and a bag of chips. Served in a 12" garlic herb wrap with pickles and chips. At Harvest Grain Pizza, we serve a variety of pizza and Italian cuisine including calzones, subs, pasta, and more! Try one of our famous gourmet pizzas including the Golden Grilled Chicken BBQ Pizza, Cheeseburger Pizza, or the Philly Steak Pizza. 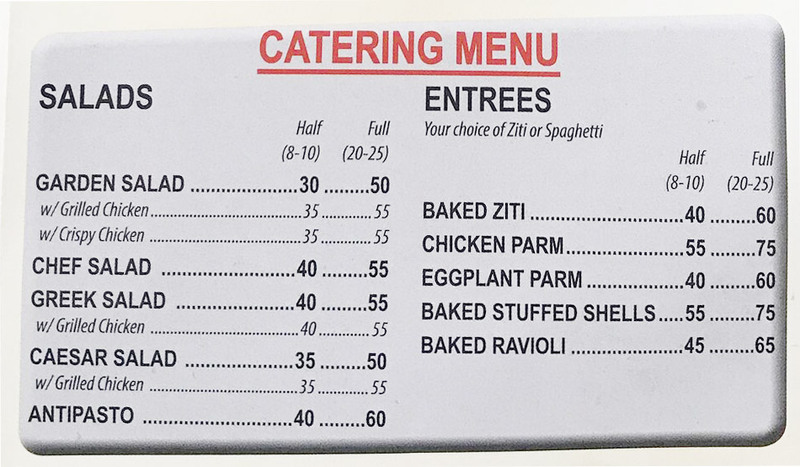 We also serve Baked Ziti Pasta and Lasagna. We're located west of I-87 just north of Market 32. We're not far from William K. Collins Memorial Park and Regal Cinemas Clifton Park 10. Order online for carryout or delivery!